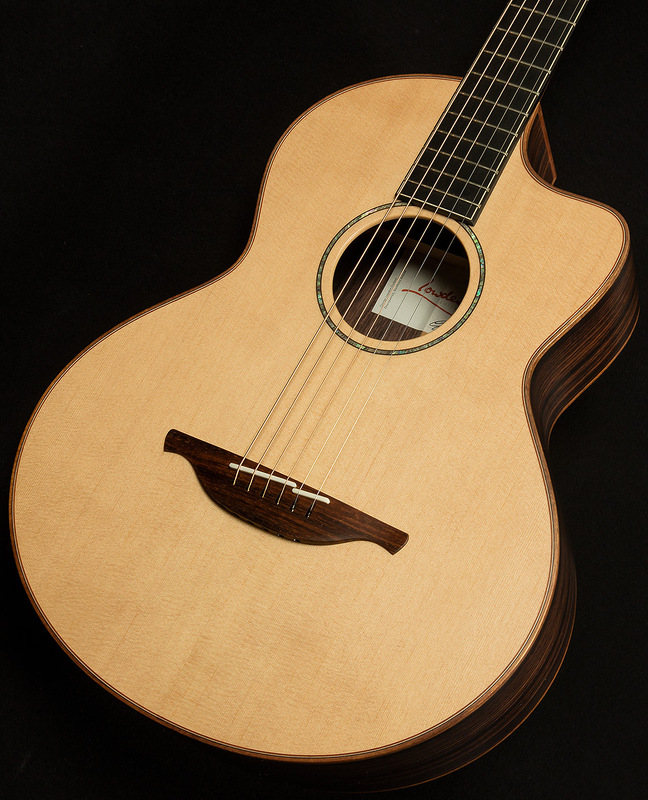 For me, the story of this Lowden S-35 is a tale of two different C chords; specifically, a Cmaj7/E and a Cadd9. 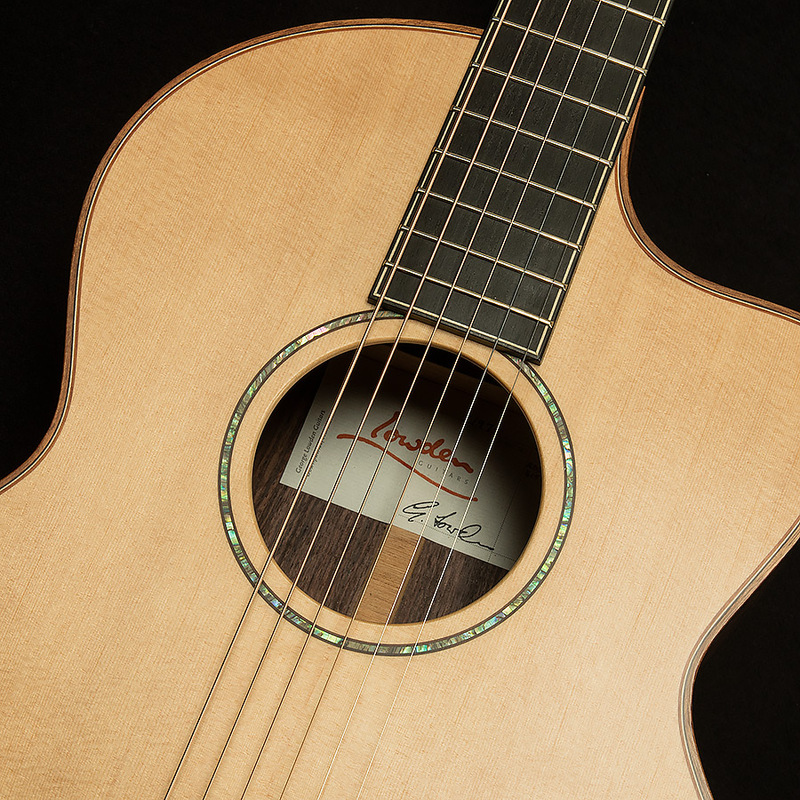 Of course, there’s always more to the story with Lowden guitars, but I could probably write a small book just about how it responds to those two variants on one chord. 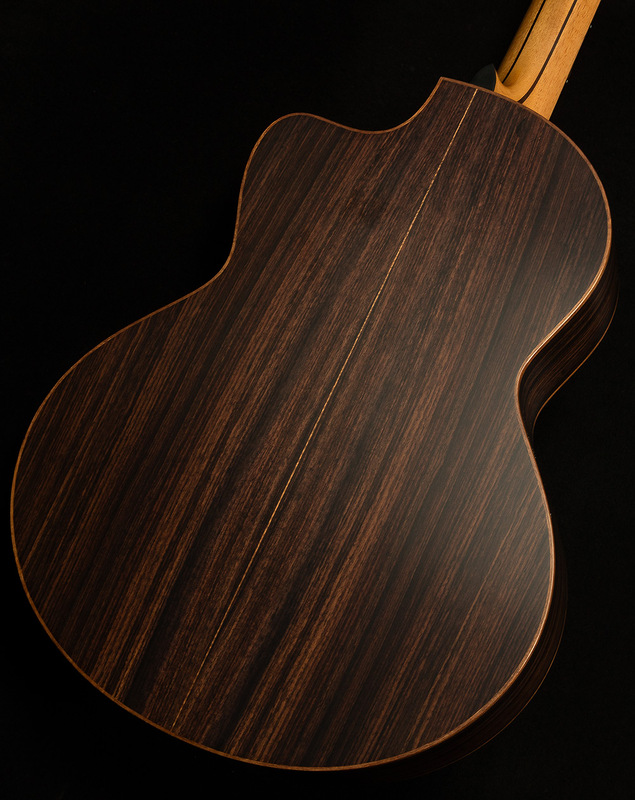 Though this S-35 may seem like a simple 12-fret small-bodied acoustic with rosewood back and sides and a spruce top, it contains multitudes and speaks volumes, and its elegant yet clear voice is powerful enough to imbue simple and complex musical ideas with undeniable beauty. low register as well. After the chord sustained for a few moments, I pumped my fist and screamed “YES!” before sheepishly looking around to see if anyone had heard me (they hadn’t, so my dignity is intact, at least until people read this). What about the sound of that particular chord compelled me to shout at the top of my lungs? 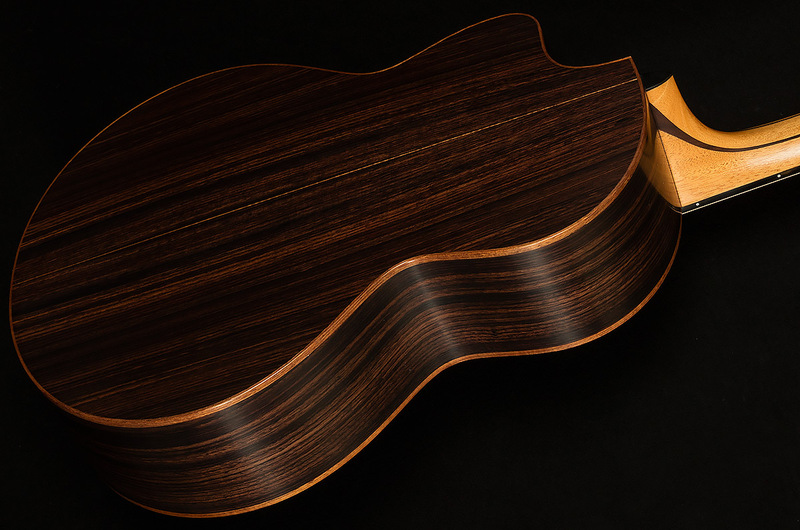 To put it simply, I don’t know if I’ve ever heard a guitar that manages to blend warmth, richness, and clarity with such incredible effectiveness. One of my favorite parts of playing guitar is finding ways to voice chords in interesting ways that add complex shades and hues of color to the music. I like to this by by finding out-there inversions, adding in unlikely bass notes, throwing open strings in, sliding shapes around to form dissonant cluster voicings, and finding crunchy extensions in the upper register. Now, this is just a hoity-toity way of saying that I love to sit around and make weird noises with an acoustic guitar, but hey, do what brings you joy, right? 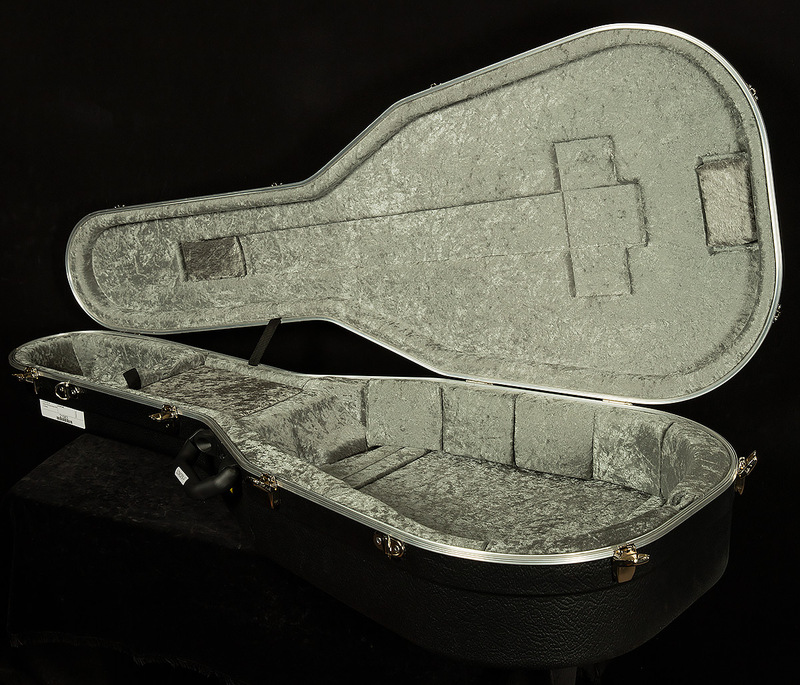 Sadly, a lot of the things I hear in my head are more suited to piano than guitar, because many acoustic guitars tend to become muddy and garbled as the top gets overwhelmed by the thick, strange voicings. Furthermore, the ones that are clear enough tend to be lacking in warmth and depth. The reason I shouted when I played that Cmaj7/E was because I realized that this S-35 is one of the few guitars that allow me to have my cake and eat it, too. It has sumptuous, delectable harmonic response and piano-like mass and clarity. The low-end is surprisingly deep, but with a dry harmonic response, so low notes have weight and mass with sounding tubby. Above this powerful, woody bass response, the low midrange emphasizes the fundamental with exceptional force, which is a big part of why it remains so clear. In the upper midrange, overtones bloom all over the place, and it sounds as warm and airy as the Colorado sky on a sunny seventy-degree day. This airiness continues into the trebles, which have all sorts of fantastic piano-like sparkle despite their surprising mass and heft (this is definitely NOT a guitar that sounds plinky or thin when you do single-note runs on the high strings!). Full, lush, harmonic response AND crystalline clarity? Pinch me. I’m dreaming. But, make no mistake: this stellar S-35 also excels when asked to do simple things in an extraordinary manner. After about fifteen minutes of glorious fingerpicking fun, I picked up a flatpick and started cycling through some open chords. 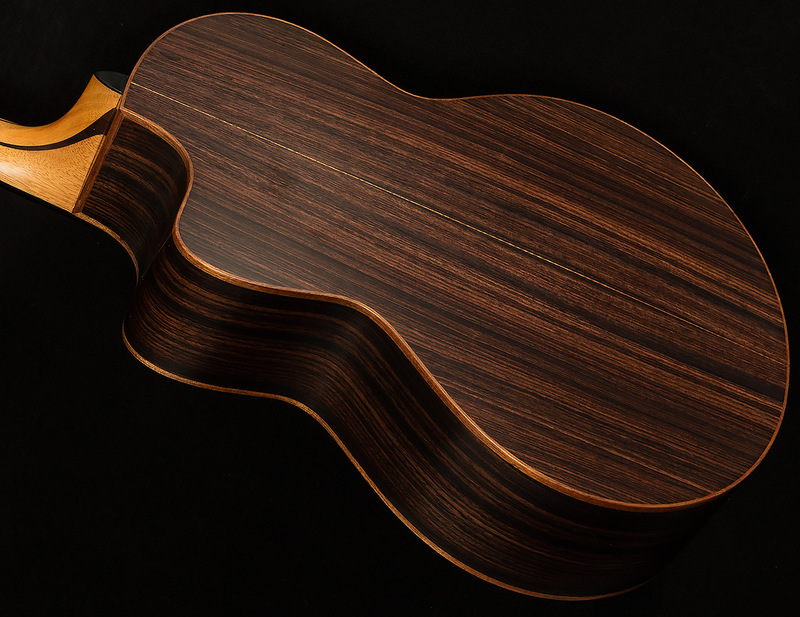 I landed on a Cadd9 (you know, the “cheater C” that everyone learns at their first guitar lesson), and I closed my eyes and marvelled at the way the complex overtones interacted with one another without clashing, and I kept strumming, and strumming, and strumming, until I realized that I had derailed the progression I was playing by vamping the same chord for sixteen measures. 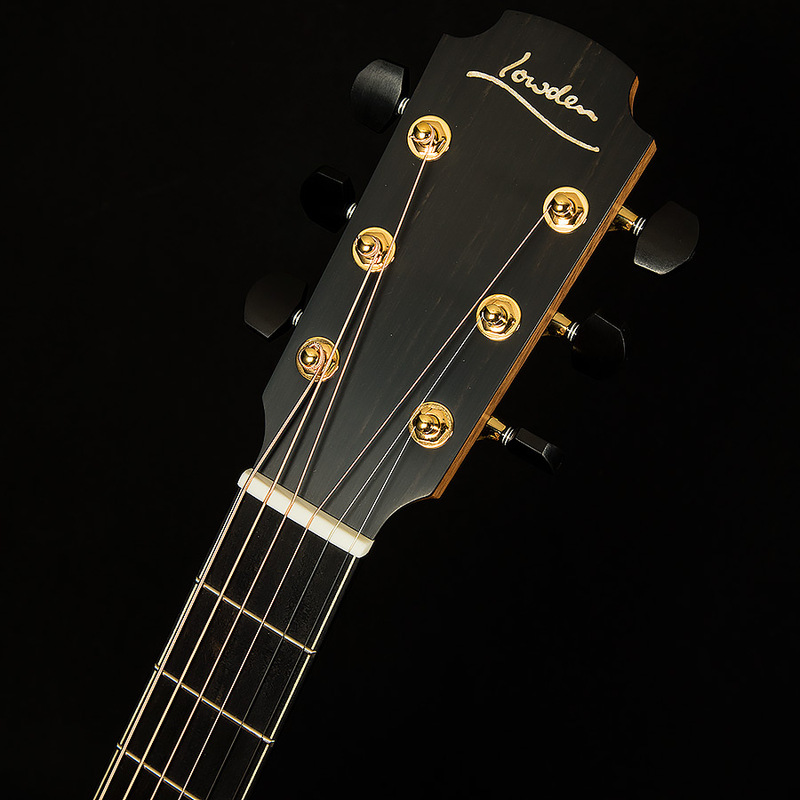 love to do on your acoustic adventures, this S-35 will astound you with its ability to bring extraordinary things out of you.